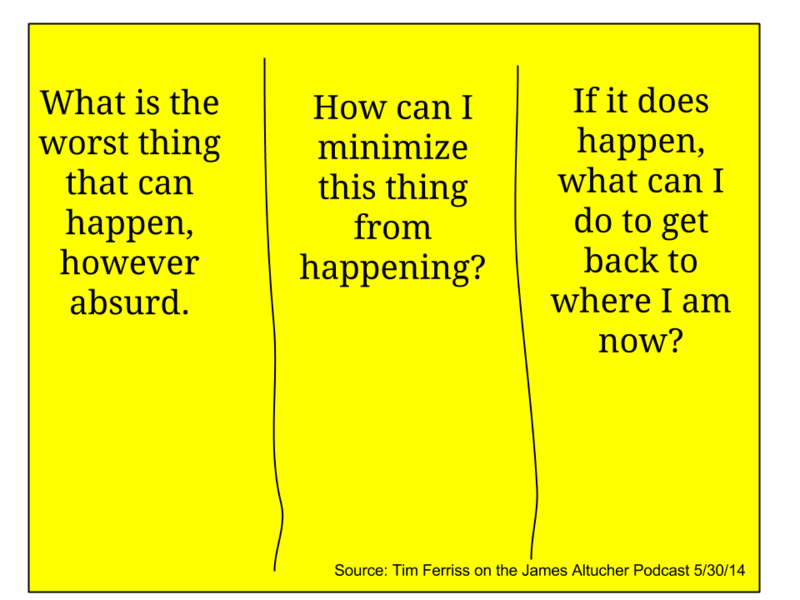 Tim Ferriss joined James Altucher to talk about self-experimentation, asking the difficult questions, and what the heck happened to his television show. If you don’t know, Ferriss is a blogger, author of books like The 4-Hour Workweek , and online maven. James begins their interview by telling Ferriss he had a hard time coming up with a single word to describe him and settled on possible in that Ferriss believes so many things are just that. “Some of the impossibles are negotiable.” Ferriss tells James. For example, learning how to speak a language isn’t as hard as people make it out to be. What you need to do, Ferriss suggests, is find people that are succeeding in that thing, that shouldn’t be. Take past guest Nassim Taleb as an example and his career as a writer. Taleb’s books are hard to get through, laborious tomes that include references to Lebanese wine, Greek Gods, and obscure financial products. He covers the same general areas of finance as someone like Michael Lewis, but Lewis’s books are like cotton candy to the the hard tack that Taleb packs. But, Taleb is a successful author. Ferriss would ask, why is that? Why in a field of business books that are short and light, does someone who writes long and dense succeed? Once Ferriss moved he began to develop loose ties. Adam Grant (episode #73) told James that these are the best types of ties for our careers. Loose ties are broad, close ties are deep, and it’s the former that can help us connect to new areas for work and friendship. One of the connections Ferriss made was with Jack Canfield (episode #90) who helped mentor him and help with his books. Ferriss tells James that he’s used an experimental model for learning anything; deconstruction, selection, sequencing, and stakes. Deconstruction. Take something large and break it down into its smallest parts. Stephen Dubner (episode #20) advocated this too because small problem have smaller answers and often fit better. Gretchen Rubin (episode #97) told James about her friend that hated her job and couldn’t be happy while working there. After a few conversations with Rubin, she realized it wasn’t her job she hated, it was her commute, and by adding an audiobook as the soundtrack to her drive home she was a lot happier. Selection. “If you’re trying to learn anything, you have to test assumptions and the way you test the obvious is by asking seemingly absurd questions” Ferriss says. It’s closely related to what Peter Thiel (episode #43) notes about finding secrets. Thiel wrote, “the best place to look for secrets is where no one else is looking” and “every great business is built around a secret that’s hidden from the outside.” Note Sam Shank (episode #78) as an example. Getting a hotel room wasn’t considered a problem with the plethora of travel sites available, but hidden in that ease was a complex condition, getting a hotel tonight. That’s the secret that Shank found. Sequencing. Ferriss says this is the “secret sauce” to learning anything new. Ask yourself, what if I did these things in a new order? He gives the example of chess player Josh Waitzkin learning chess closings before using chess openings. About this Waitzkin says that he became more comfortable in the chaos of a chessboard rather than the structure. If he opponents were focused on getting an opening right, and didn’t, they fell into a position where they didn’t know what to do. This happened – albeit accidentally – to Scott Adams (episode #47) who learned formal drawing much later in his career than other artists. Instead, Adams built up his material banks by working in corporations. Stakes. People have to build consequences into their life, Ferris says, but not unrealistic ones. “People have a nebulous fear of a worst case scenario.” Ferriss tells James, and we don’t need to have that. He suggests instead that people take a three step approach to solve this problem. 1. What are the worst things, however absurd that can happen? How can I minimize those each thing from happening? What can I do to get back to where I am now? There are a spectrum of options, Ferriss tells James, not just success and failure. Mark Ford (episode #102) mentioned the same thing in regards to negotiations. Often there is an overlap in positions between two parties, find those overlaps he says. We tend to quantify things in listicles or charts but life is more like the broad strokes of a paint brush that colors a canvas but doesn’t stay in the lines. Long before Ferriss was making television shows or writing books, he started a company called BrainQUICKEN but even this wasn’t all that risky. The stakes for it were low because “I did not just leap into the ether and cross my fingers” he tells James. Rather he was figuring things out for himself, taking the supplements he thought about selling and getting good results. When the product it wasn’t selling, Ferriss shifted the focus of it to a pre-workout aid rather than cognitive enhancement. The conversation then turned to talking about writing a book and began with an interesting idea, testing your title. Both James and Ferriss mention that they tested multiple titles of their books and it speaks to their openness to getting things right rather than being right. A lot of times we think we know what’s best but many times we at the very least, overestimate the scope of our conclusions. In one example, a military official was asked to gauge the leadership credentials of a soldiers in training after an hour of observation. To an outsider like you and me, we might roll our eyes at how much one can really understand about that, but insiders tend not to. In fact, if you were the insider you would probably overweight your observations and their validity. It’s been shown time and again that this doesn’t work for things like stocks. In one study, the correlation between the success of wealth advisors was zero. That is, if you took someone that made 15% returns in year one, you should not expect them to make similar returns in any other year. But if you talked to those stock pickers, they would spin great tales about why they were successful or not. This relates to book titles in this way. In both the example of choosing army leaders or picking winning stocks, we think we have good intuition but we probably don’t. We think we know what a book title should look like, but we probably don’t. If we at least open to the idea that others may know better, we’ll gather valuable information. Actually writing the book took a lot of work. Ferriss started by taking notes. He tested material in a class he spoke with. He continued his relationship with Jack Canfield and eventually The 4-Hour Workweek was published. The core message to all of his books, Ferriss tells James, is to “take a completely lateral move” ask “have you ever tested this” and don’t believe any answer that sounds like well, we’ve always done it that way. If you do create things, Ferriss advices, “focus on the people who get it, not the people who don’t get it.” He suggests watching this clip, from the end of Ratatouille. Ferriss has also spoken about how to deal with haters. It can be hard though. Amanda Palmer (episode #82) and James both said that a negative comment or review can stick with them for days. In his interviews, Brian Koppelman made it sound like an actual metamorphosis to go from a creative place and vulnerable place, to one where he could be strong and handle the critics (kind or not). Ferriss’s criticisms birthed from the land of maligned mathematicians who said that Ferriss didn’t actually work four hours each week, he worked much more than that. “The point of the book,” he tells James, “is to maximize your per hour output” and then do what you want with that extra time. But even in these challenges we can find some good, Ferriss says, because they expand our sphere of comfort. Even starting his podcast was a derivative of a challenge. 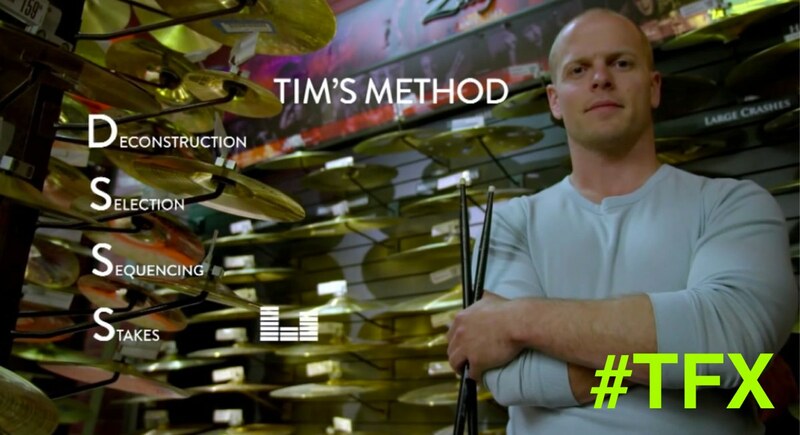 He filmed the Tim Ferriss Experiment but the show was stuck in television limbo while the teams at Discovery Channel and Ferriss figured out the final details. Rather than dawdle, Ferriss started hosting podcasts and he’s had some good ones. His advice is to “focus on the content first and foremost.” Check out Kevin Kelly’s (episode #96) 1,000 True Fans post, Ferriss suggests as a way to get an idea. Gabriel Weinberg (episode #54) told James that this influenced him as he was building DuckDuckGo. It’s these small pieces, the essential parts of learning, the 1,000 true fans, and a “handful of posts have made my blog.” Ferriss says but he never knows which ones will resonate the most. Jairek Robinson (episode #96) told James the same thing Ferriss mentions, noting that it’s hard to figure out exactly what pieces will matter the most to people. Besides podcasting and book writing, Ferriss also advises companies and tells an interesting story about getting in. He was living out west when an opportunity to invest in Twitter became available. He did, but not just for financial fortunes, but for the uncommon connections. Being at Twitter gave him access and relationships. And maybe it’s not the money that you need. A.J. Jacobs is doing this (accidentally or not) is his great family reunion project. He couldn’t buy a picture with a former president, but, when he’s your cousin anything goes. The interview ends with Ferriss telling James about his investing advice, and relaying heuristic he learned from Chris Sacca. Does the person you are about to partner with pass the beer test and mall test? That is, would you have a beer with this person for fun and would you talk to this person if you were passing them in the mall? These answers don’t have to be yes, but it helps when they are. Thanks for reading. If I took something the wrong way, transcribed something incorrectly, or tested the wrong axiom let me know. @MikeDariano.